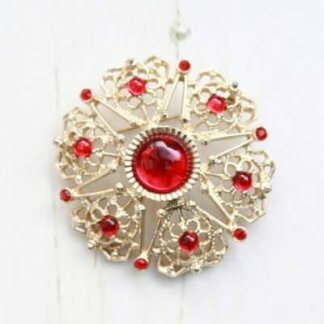 This brooch titled ‘Petite Fleur’ is one of those pieces. 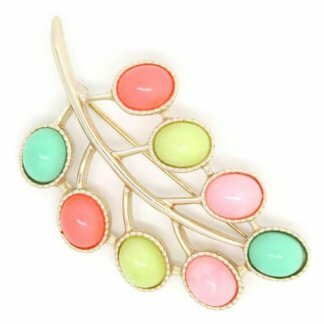 The Petite Fleur brooch features a simple floral goldtone design which is very beautiful and will grace any outfit with ease. Dating from the 1960s catalogue it measures 4.5cm. This stunning popular brooch is fully signed to the back and in good condition showing slight to no wear.